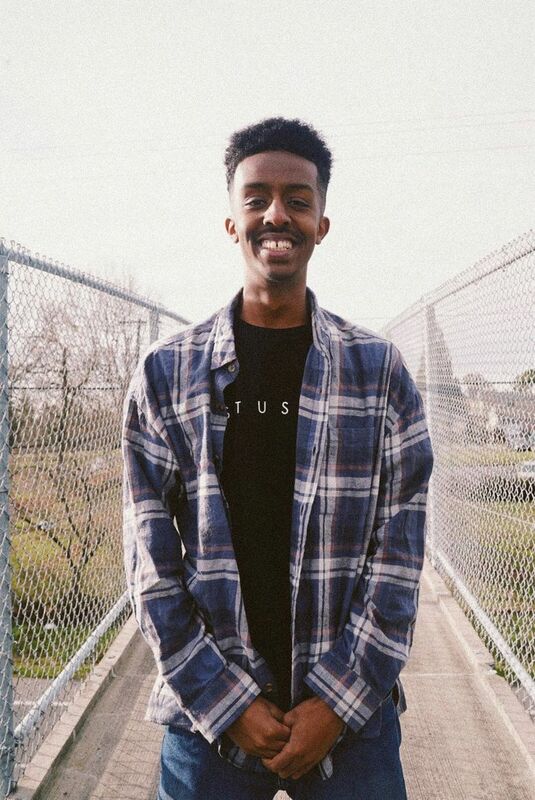 Abel Berhan, a senior at Evergreen High School in the Highline School District, says the lack of diversity in the business world can be intimidating for budding entrepreneurs of color. I remember the day that I first toured the University of Washington in my freshman year of high school. I was walking through the Foster School of Business in shock; the architecture with many walls of glass was so welcoming, but the atmosphere wasn’t. No matter which way I looked, I didn’t see anyone with the same complexion as me. I’m not alone. For many high school students of color with dreams of working in the business world, the lack of diversity in business can be intimidating, but also a motivation for change. As a freshman, the lack of diversity made me feel I couldn’t be a part of the business world. And I still struggle when I look at corporate America and realize it doesn’t reflect my skin color or the community I’ve grown up in. African-Americans represent less than 1 percent of Fortune 500 CEOs, a number you can count on one hand. And that’s just for men. The first black woman to lead a Fortune 500 company, Ursula Burns of Xerox, left her post last year. You can observe this trend in our local business schools, too. In fall 2016, only 2 percent of undergraduate students at the UW’s University of Washington Foster School of Business identified as black — a total of 44 students out of 1,880. This extends to other racial groups, too: Only 5 percent identified as Latino, and 1 percent as Native American. Those are the odds I’m facing as I pursue a career in business. So, how can schools support young aspiring businessmen and businesswomen of color? One of the answers is quite simple: Invest in and increase the number of programs that expose high school students to business. My parents couldn’t finish high school because they fled the government conflict in Ethiopia. They work endlessly at their jobs to make sure my family has enough, but when it comes to helping me with school, they can only do so much. Just like many students from similar backgrounds, I’m a driven person. All I needed to pursue a career in business was an exposure to the idea of business and the knowledge that a business career would help me impact society in a positive way. During my freshman year at Evergreen High School in 2014, I was fortunate enough to join a college preparatory program called Making Connections run by the University of Washington Women’s Center. The director of the program, Senait Habte, knew I had interest in business despite my limited understanding of the field, and connected me with a program called Young Executives of Color. Young Executives of Color (YEOC) was created by UW’s business school, and provided me the exposure I needed to understand the business field. Each year, the program supports and creates opportunities for 170 high school students of color who have an interest in business. I’ve met executives from companies like Snapchat, Zillow and Ernst and Young, many of whom also grew up as children of immigrants. I want to create products that aid social justice causes, like reducing police brutality. Like many others, I have grown indignant watching videos of black people shot dead by police officers. I wanted to build something people could use to feel safer. Last May, I had the opportunity to do that through a case competition at Young Executives of Color. My team pitched a product called the “Pol-Cam,” an inconspicuous camera placed on cars. We wanted to create a product that would provide video evidence of police stops that wasn’t controlled by law enforcement. We received constructive feedback from judges to identify our weaknesses and address them for case competitions in the future. Young Executives of Color also paired me with a mentor, Jo Yee Yap, a Foster School of Business graduate and former program participant. She has not only helped me increase my understanding of business, she helped me reach the goals I set for myself, such as the grades that I wanted to maintain, and programs that I wanted to apply to. She helped me set up a LinkedIn page, and she edited my personal statements for internships. Along with this, Jo Yee has always been more than willing to connect me with people from her network. Other programs that expose high school students to business careers include ACAP (Accounting Career Awareness Program), and DECA (Distributive Education Clubs of America) which is open to students who have chapters at their schools. But these programs should only be the starting point, and there should be more investments in additional programs that support and inspire the many students of color who are interested in pursuing business careers. When I walk into Young Executives of Color meetings, I feel at home, not alienated like I did when I first toured the UW business school. Mentors and students are dancing and singing to Beyoncé at 8:30 a.m. on a Saturday morning. My shirt is tucked in and tie is on. Mentors and volunteers greet me warmly. Whether I’m talking with my peers about the underrepresentation of African Americans in university business schools, or listening to a director who takes the time to debrief about the 2016 elections, I know this program has given me a space to build my confidence. And with that confidence, I continue to increase my knowledge of business, and plan to create a product or organization that will elevate underrepresented students. Abel Berhan is a senior at Evergreen High School in Highline School District. He is the proud son of Ethiopian immigrants, and has four siblings that mean a lot to him. He aspires to have a future that positively impacts the underserved communities he’s grown up in.